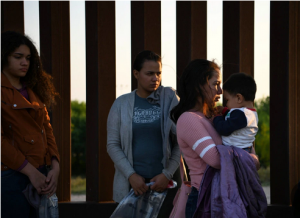 In an effort to stem the flow of Central American migrants coming into the United States, the Trump administration has focused on limiting who can apply for asylum and instituting detention policies that officials hope will deter people from seeking refuge in the country. On Tuesday, Attorney General William P. Barr issued an order that could keep thousands of migrants seeking asylum in jail while they wait for their requests to be evaluated by a judge. What is asylum and who can seek it? Asylum is a legal process by which people fleeing persecution in their home country may seek to live in safety in the United States. International treaties and federal law require the government to evaluate a claim for asylum from anyone who enters the United States, whether that person arrives legally, through a port of entry or illegally by crossing the border and being apprehended. Get Washington out of Washington. Put it in Omaha. Agriculture Secretary Sonny Perdue announced in August that he wanted to move the Economic Research Service and the National Institute of Food and Agriculture out of Washington , to places where the type of scholarship they rely on is centered. Now the department is considering proposals submitted by interested parties (including my university) to host the headquarters for those subagencies. You might assume that such a move would be regarded as a common-sense exercise in sound administrative and academic practice. But you would be wrong — at least in the eyes of the client organizations that seek funding from these mini-bureaucracies. Their protests came promptly and loudly after Perdue’s announcement. The Housing Assistance Council complained that moving the Economic Research Service away from Washington “is yet another way rural voices will be out of earshot.” The National Sustainable Agriculture Coalition wrote that the plan meant “America would experience a disastrous reduction in its agricultural research capacity.” You’d have thought someone had suggested moving the Washington Monument. But what exactly is so unthinkable, especially these days, about dispersing more of the federal government’s sprawling assets somewhere into the 99.998 percent of America’s land mass that isn’t the District of Columbia? The Economic Research Service and the National Institute of Food and Agriculture together comprise less than 1 percent of total Agriculture Department employees, a large majority of whom already work elsewhere in the country. The Centers for Disease Control and Prevention, one of the more respected and effective federal agencies, is headquartered in Atlanta. 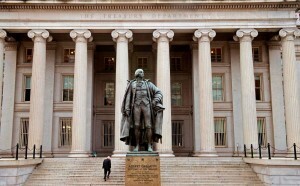 The idea of getting Washington out of Washington has come up periodically for decades. In 2002, I was part of a small group in the George W. Bush administration assigned to study whether the government’s various units with a relationship to what came to be called “homeland security” should be gathered together in a new Cabinet-level department. First, given that the Department of Homeland Security would make an attractive terrorist target, prudence would dictate not placing it immediately adjacent to Washington’s many existing targets. Second, technology has rendered distance and physical place less important than ever. Third, locating DHS somewhere other than Washington would have made much better economic sense. Under the government’s statutory geographic compensation formula, the savings in salary and benefits alone would have been significant, to say nothing of other operating expenses. A GS-13 Step 2 employee who is paid $100,203 in Washington would cost less than $91,000 in Kansas City or Indianapolis. You can guess how far the idea got. relocating bureaucracies can offer important intangible pluses. Parts of the nation now estranged from the federal government — and cynical about it — might feel more invested and sympathetic if more of its officials were seen as neighbors and not as faraway, arrogant paper-pushers. And federal workers themselves might benefit, not only from quality-of-life improvements but also from a perspective on their work enriched by closer exposure to its real-world consequences. Might there not be at least a little logic in having, say, the Interior Department located somewhere in the country’s . . . interior? The USDA’s Economic Research Service near some actual farmers? Trump Taps 3rd General for Cabinet, Is That Too Many?